Loved this? Share with your network now! 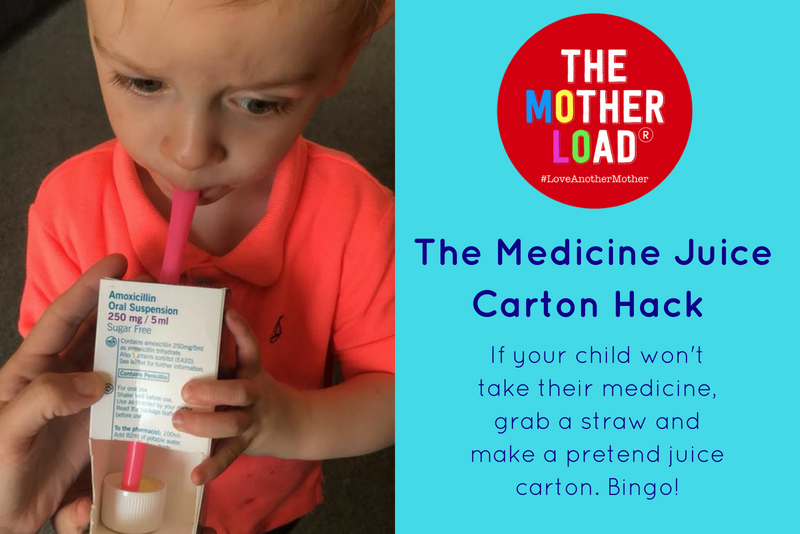 We are constantly amazed by the ingenuity of the mums in The Motherload® Facebook Group but this fabulous trick for getting children to take their medicine is just brilliant! 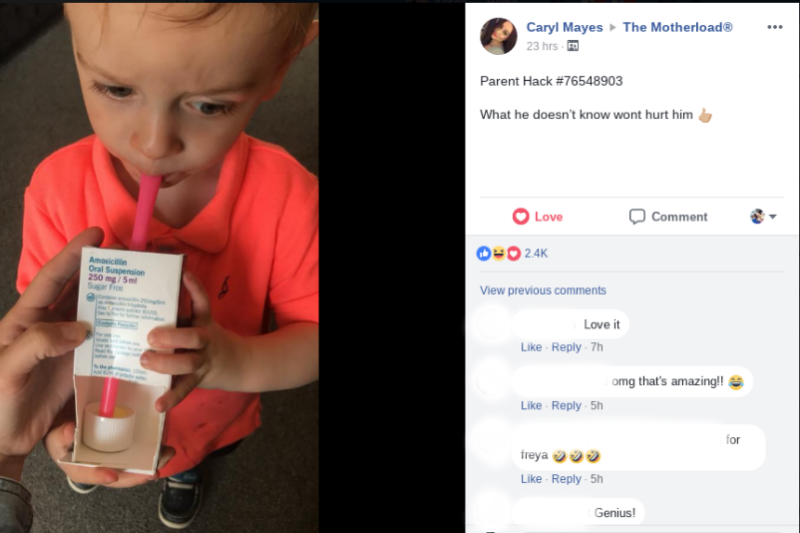 Caryl Mayes posted this photo of her 19 month old son taking his antibiotics through a straw after she fashioned a pretend juice carton out of the medicine box, and popped the cap containing his dose at the bottom of it. Job done! Genius! Why didn’t we think of this? How many times have we struggled to get our kids to take their medicine? We’ll definitely be trying this one out next time! What a brilliantly simple idea. The MOLOs loved it, with 2.4k reactions and comments in a matter of hours. Caryl had already tried hiding the medicine in banana milkshake and apple sauce, but her boys had clocked onto what what was happening and refused the meds. Not so with the faux juice carton! Emma said: It’s staring us right in the face!! Why didn’t we already think of this. Genius! Rachel commented: So bloody clever I wish I had known this when my girls were little. You’re a top MOLO! We really hope this helps other parents get their small folks to take their medicine. Caryl – we salute you!